In the School of Interdisciplinary Informatics (Si2), we aim to make an impact on the world. And technology is our vehicle to do it. 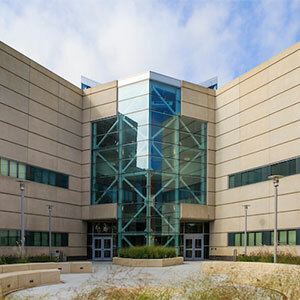 Si2 is a campus-wide connector at UNO, helping professors and on-campus entrepreneur groups with projects that require a creative touch. There is no school in the country like Si2, poised to become a national leader in information technology. Bachelor’s Degrees in Cybersecurity, Bioinformatics and IT Innovation. Master’s Degrees in Cybersecurity, Biomedical Informatics and IT Innovation. A Doctorate in Biomedical Informatics. The common thread among our different degree programs is the interdisciplinary components of the curriculums, each involving collaborative work in the community. All our degree areas offer tremendous growth potential in the near future. In Si2, our research helps solve complicated problems, often in our own community. Our students and faculty have conducted internal security audits for corporations, developed a database for a statewide juvenile diversion program, devised an avatar-based facial recognition program that detects if someone is lying or telling the truth and researched ways to protect dated technologies that are critical to everyday infrastructures and utilities. Si2 students and faculty share more than just a classroom. They share a bond. This feeling connects them to each other; it connects them to leading-edge technology; and it connects them to world events.